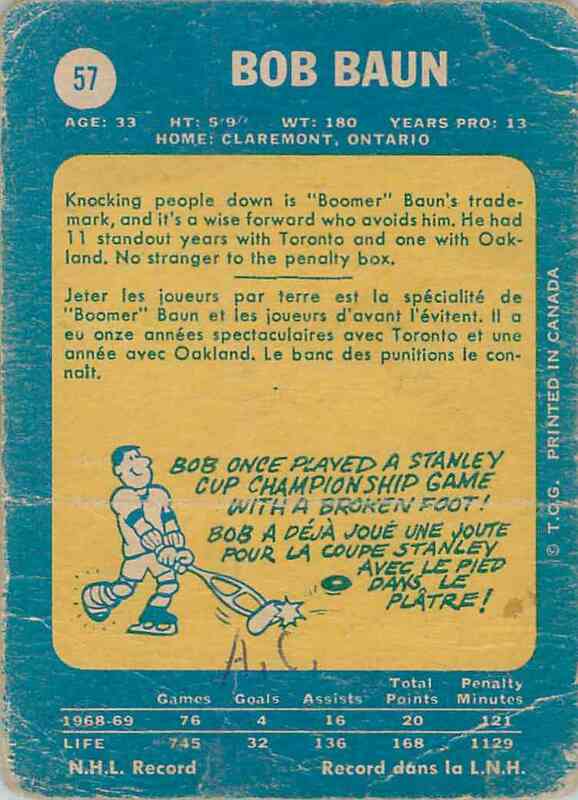 This is a Hockey trading card of Bob Baun. 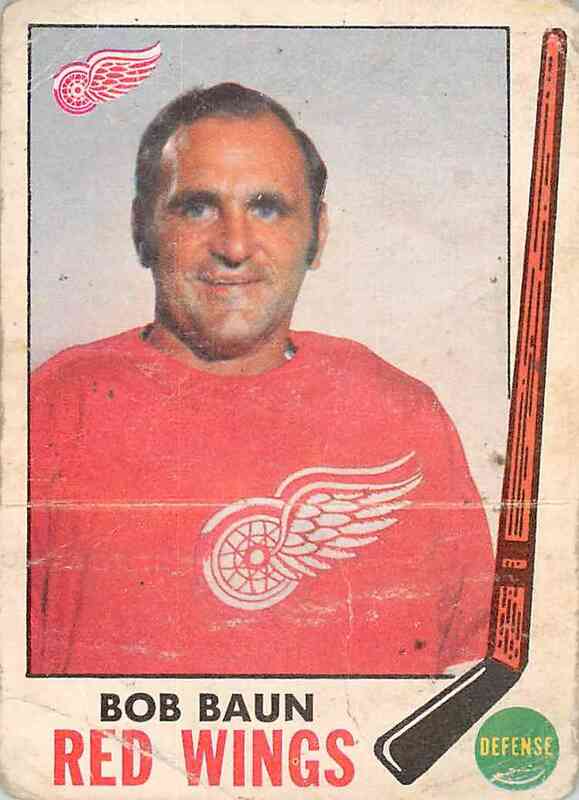 It comes from the 1969-70 O-Pee-Chee set, card number 57. Frsca. It is for sale at a price of $ 3.60. Welcome to my store! You will find a great selection of Hockey, Baseball, Football cards. Please take note that I'm shipping from Canada. If you have any question please contact me.